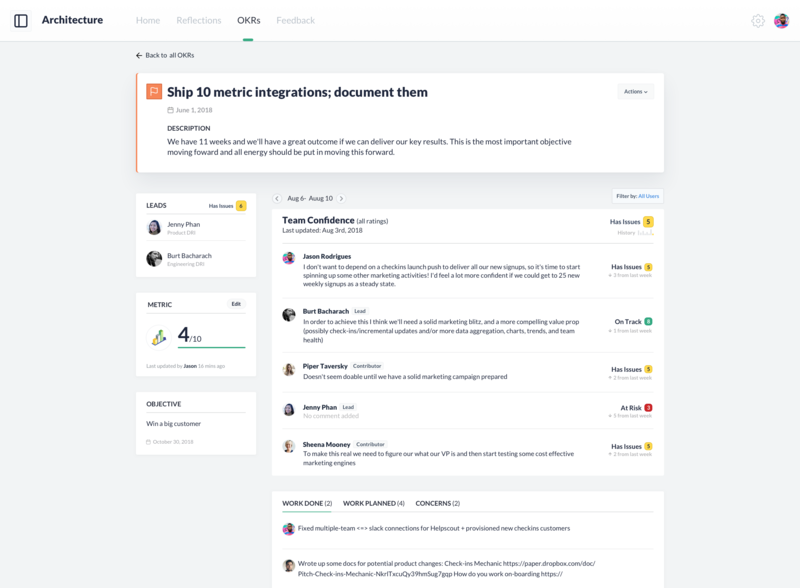 Koan makes it easy to run OKRs across your entire company, keeping your teams motivated, happier and pulling in the same direction. 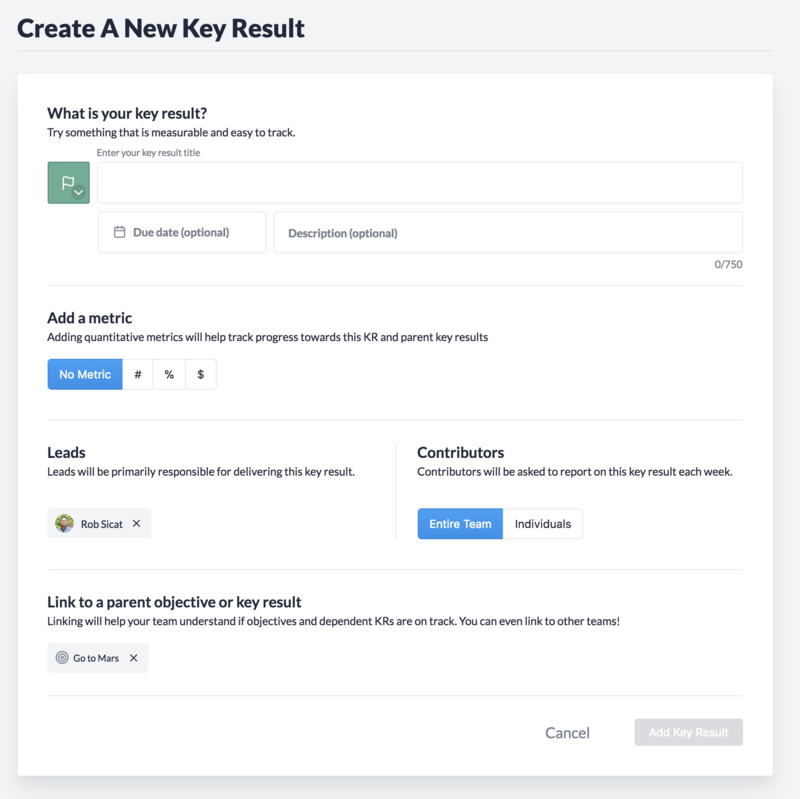 This article will cover four components: creating OKRs (Objectives and Key Results), rating individual key results, using metrics to measure progress, and archiving them. 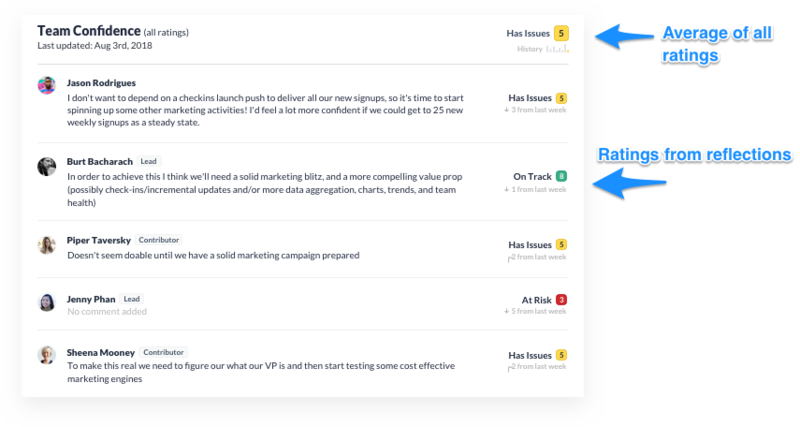 Let's get started by clicking the + Objective button on the main OKR page. For more information of how we handle privacy on goals, check out our article on Goal Visibility. Once you add your objective, you can then add how your plan to measure success in the form of Key Results. A good rule of thumb is to start with no more than three or four. We support four options for metrics, with some optionality to update them automatically via API. 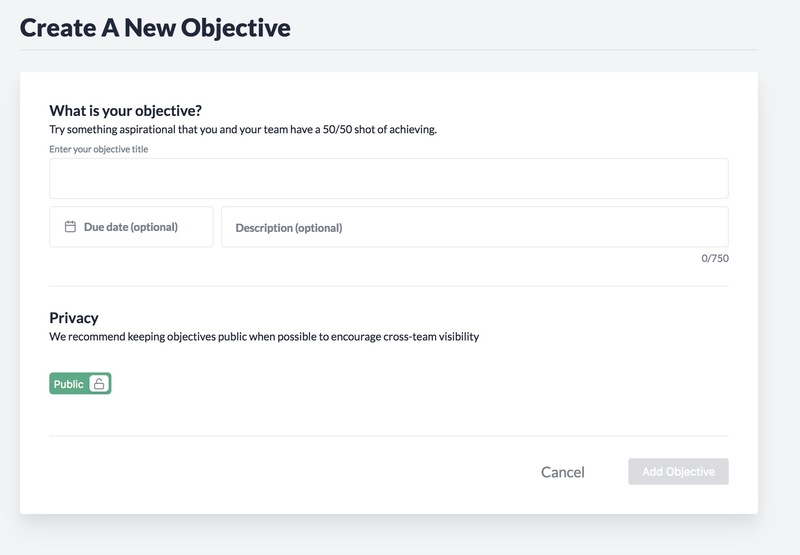 Now that you've got your OKR set, let's walk through how you can collect data on the goal. Checking in on the progress of your critical goals every week is an important positive behavior and at the core of how to use goals to set the cadence of your team. Once you've created your OKRs, we'll ask the leads and contributors to rate their confidence of the goal with an optional short description as to why the goal is on track or why it may have issues. After rating a goal, we'll let you know if your confidence is up or down from the previous week. For a deeper look at how we do this process at Koan, check out The Heartbeat of Great Teams. Ratings are a great way to gauge the confidence and insights of your team, but not a great indicator of how close or far your are to your goal. That's where metrics come into play. For now, let's focus on the two places you can update a metric. After setting the value to the correct number, you'll see the metric has updated. The second way you can update a metric is on the Key Result summary page. Now that you know how to set, rate and measure goals let's quickly go over how you can archive them. After your monthly/quarterly goal cycle retrospective, it's good practice to start fresh. The best way to do that in Koan is to archive Objectives and individual Key Results. By archiving an objective, you will effectively be archiving all key results (including child key results) belonging to the objective. If you agree to that, then your all set and the Objective and it's Key Results will be removed from the screen. 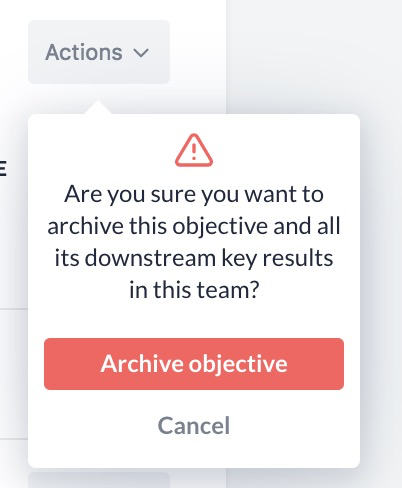 Don't worry though, you'll always be able to find it by clicking the "Show Archived OKRs" button. In our next article, we'll go over how Reflections work in Koan.